I first thought of Ronda Rousey because we just saw Terry Crews’ workout routine, and thinking back the badass cast of Expendables made me think of the badass women casted. That being said, Rousey’s badassery is not confined to just Expendables (much like the rest of the cast). Rousey was the first American woman to earn an Olympic medal in judo (Bronze), which she won at the 2008 Summer Olympics in Beijing. She is the former UFC Women’s Bantamweight Champion, as well as the last Strikeforce Women’s Bantamweight Champion. She won 12 consecutive MMA fights, six in the Ultimate Fighting Championship (UFC), before suffering her first loss to Holly Holm in November 2015; she won 11 of those fights in the first round, nine of them by armbar submission. Oh, and she is also awesome enough to not only have touched the screen for Expendables 3, but also Furious 7. I’m sure Vin Diesel didn’t mind having her on set. Standing a bit taller than the ladies like Scarlett Johansson, Olivia Munn, Natalie Portman and Emilia Clarke, Rousey is right there with the ladies like Caity Lotz, Katie Cassidy, and Daisy Ridley. But, don’t worry, we also have Gal Gadot and Jennifer Lawrence who make her height nice and even for SHJ (they’re taller!). And, as a forewarning that I like to give now: this routine is not based on height or weight, these stats are just put up to give you an idea, and this can be used for any physique. Lucky for us, the combination of Muscle and Fitness with Cosmopolitan give us a great insight to what Ronda Rousey’s diet is like. 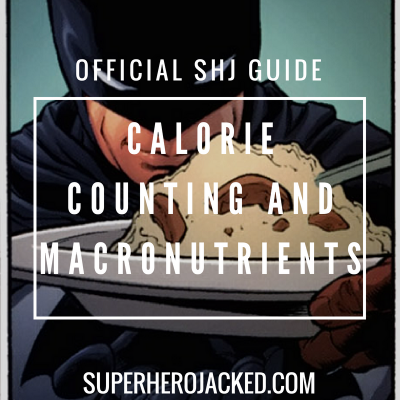 Before I go ahead and give you all that research though, I want to first give you the opportunity (as always) to utilize the Nutrition Pillars here on SHJ. We know a diet is about sustainability and forming habits, so if Rousey’s nutrition doesn’t seem like it’s exactly for you: you have options. Chia Bowl: 2 tbsp chia seeds, 2 tbsp hemp seeds, 2 tbsp oats, agave nectar, 1 tbsp almond butter, ¼ cup raisins, and cinnamon. Coffee: grass-fed butter, raw coconut oil, and stevia. Top with cinnamon. Egg Scramble on Bread: 2 scrambled eggs with red peppers, tomatoes, spinach, avocado, mushrooms, turkey bacon, Ezekiel bread and grass-fed butter. Turkey Chili: 6 oz ground turkey, red and green bell peppers, avocado, hemp seeds, ¼ cup beans, cayenne pepper, and chili pepper. Greek Yogurt Bowl: Greek yogurt, 1 tbsp chia seeds, and agave. 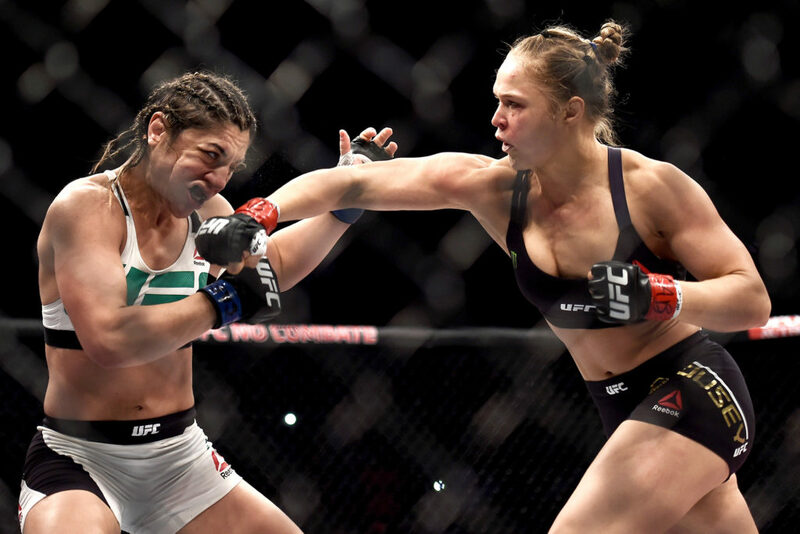 One thing we need to remember is that Ronda Rousey is a professional athlete. We can train to attain her physique, and work to make our workout and diet similar to hers, but we’re more than likely not going to be able to sustain the amount of training she puts in on a daily basis. 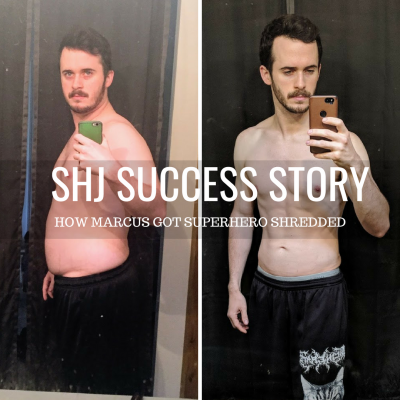 It’s similar to the way some of the celebs we see in the Workout Database who have a very short time to train and transform themselves into their Superhero physiques. OxygenMag gives us some of Ronda Rousey’s movements that we are going to be incorporating within the routine, but further research reveals that her actual training is extremely intense. I will do my best to shape and form it to reflect her own, while also making it somewhat doable. Oh, and obviously, you’re going to want to train like a fighter. 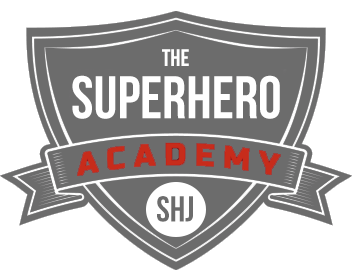 So, if you want more videos and specific instructions into doing that (other than what I program here), you’ll probably want to check out our Fighting Coach Derek Mellino in The Superhero Academy, where he has his own Fighters Path programmed, and much more. News.com gives us the details on how intense Ronda’s full routine is, and I’ll do my best to portray that with some quotes. “When you learn how to throw a punch you’re throwing it with your whole body — your hips, your shoulders, your core is tight,” he said. Rousey finishes her workout with ab work – sometimes doing up to 2,000 crunches per session. And, below we see a video of her INSANE KILLER Abs workout. Rousey’s Workout Routine is formatted a bit different than what we’re used to seeing. I’m going to be giving you ONE Day to utilize. You will need to customize this 3-5 days a week, while also incorporating yoga, hiking, sports, and other forms of activity within your training as well. 12 rounds of simulating take-downs on the bag while punching, wrestling and changing directions every 90 seconds. Using boxing gloves, Rousey unleashes a series of punches against her trainer’s mitted hands. The glove work usually lasts from 10-15 rounds of 3-5 minutes. Tarverdyan said Rousey has been known to do 60 minutes of boxing without a break.